Ubisoft put together an amazing blend of mariachi music and Survivor's cliche "Eye of the Tiger" in this brand new gameplay trailer for Rayman Legends. 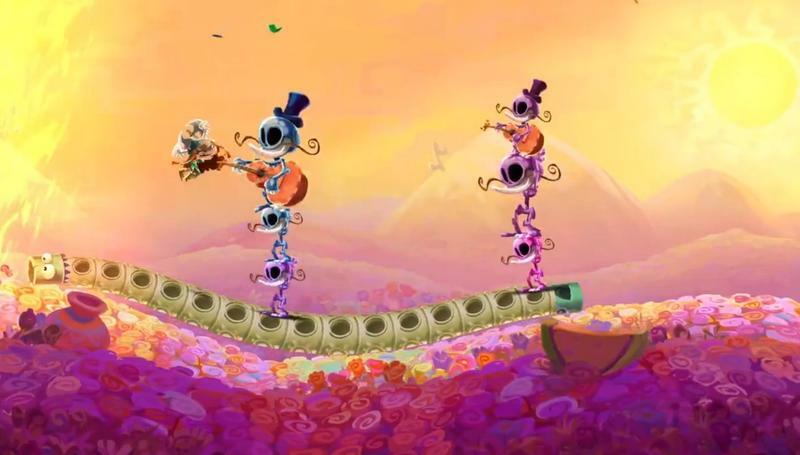 This clip appears to span the full length of one of the game's more challenging levels. Once a Wii U exclusive meant to release in February of this year, Ubisoft elected to push the game back until the end of this summer and release it on other platforms. Bad news for Nintendo, good news for Rayman fans without a Wii U. Of course, Ubisoft recently released the entirely free Rayman Legends Challenge App for the Wii U as an apology for their decision to delay the game by half a year for owners of Nintendo's new console. The free download is fantastic, but I'm sure most fans share my opinion: I just want the full game. Too bad! Rayman Legends is set to release for the Xbox 360, PlayStation 3 and Wii U on August 30th, 2013 in Europe and September 3rd in North America. We'll have much more on this game between now and then.